The Standing Committees and individual faculty will have proposals to change curriculum, procedures, working conditions and other areas of university life for the students, staff and faculty. iv. Proposals may be submitted to the Executive Committee by any Senate member prior to the meeting of Faculty Senate to be placed on the agenda for that meeting. v. A proposal may be assigned to a committee for review before Senate action. If an assigned bill fails to receive the approval of the committee, it will not normally come back to the Senate. The Senate may, however, override the decision of the committee and consider the bill directly. vi. Proposals passed by the Senate require final approval by the President of the University. A decision not to approve the proposal shall be communicated to the Senate within 30 days of the Senate approval. a. Items which require a change in curriculum will be sent to the department involved in the change. *b. Once approved by the department, the action item will be sent to the Educational Policy Standing Committee for hearings and approval. c. The Faculty Senate will then review the item and, if approved, will send it to The Office of Academic Affairs. d. The Office of Academic Affairs will approve the proposal and institute the change. If the proposal is not approved as it stands, it will be returned to the originator of the proposal and the Faculty Senate within two weeks with reasons for the rejection. It may be resubmitted with changes. 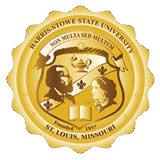 *Changes in curriculum for courses in the School of Education may by-pass the process and move from the School of Education directly to the Office of Academic Affairs and supervision by Missouri Department of Elementary and Secondary Education and the National Council for the Accreditation of Teacher Education. For proposals which do not involve curriculum change, standing committees or individual faculty may present written proposals directly through their representatives on the Faculty Senate. If approved, the proposal will go directly to steps “c” and “d” listed above.